King & Union, the provider of Avalon, a threat analytics platform built with collaboration at its core, has announced that Suzanne Spaulding is joining its board of advisors. Spaulding brings more than 25 years of experience working on national security issues for both Republican and Democratic Administrations and on both sides of the aisle of Congress. In her advisory role, she will provide strategy and counsel to the company as it increases cyber threat information sharing and leverage real-time collaboration to deliver unparalleled visibility and outsmart adversaries. 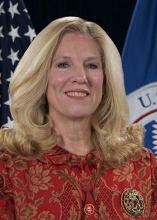 Spaulding is the former undersecretary for the National Protection and Programs Directorate at the Department of Homeland Security (DHS), where she managed a $3 billion budget and a workforce of 18,000 and was charged with strengthening cybersecurity and protecting the nation’s critical infrastructure. Throughout her career, she has advised CEOs, boards, and government policymakers on how to manage complex security risks across all industry sectors. Spaulding has served in a variety of roles, including acting as general counsel for the Senate Select Committee on Intelligence and minority staff director for the U.S. House of Representatives Permanent Select Committee on Intelligence. She is a member of the Aspen Institute’s Homeland Security Group; former chair of the American Bar Association’s Standing Committee on Law and National Security; founder of the Cybersecurity Legal Task Force; and was a member of Harvard University’s Long-Term Legal Strategy Project for Preserving Security and Democratic Freedoms in the War on Terror. Spaulding currently acts as the senior adviser for the Homeland Security Program and International Security Program at the Center for Strategic & International Studies (CSIS); serves on the Board of Directors for George Washington University’s Center for Cyber & Homeland Security and the Advisory Board of Harvard University’s Defending Digital Democracy project. She is also a member of the faculty of the National Association of Corporate Directors.